I absolutely adore how this Christmas Elf craft turned out. 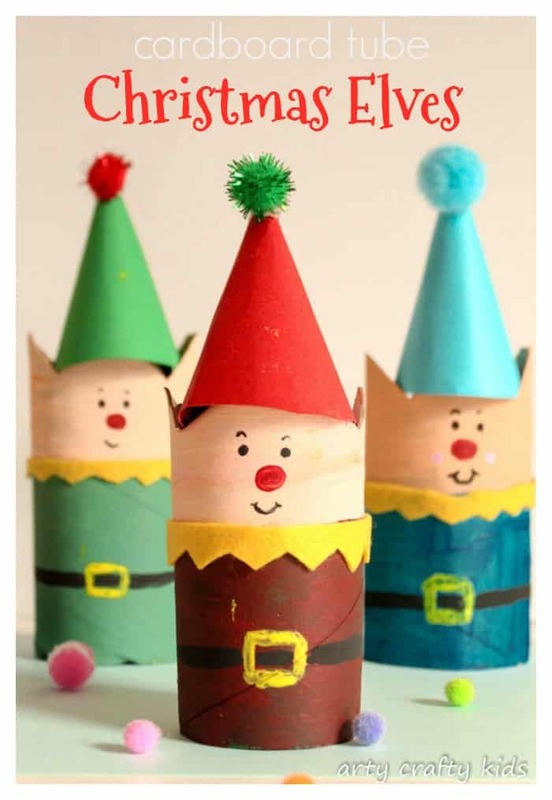 Cute with a pinch of cheekiness; exactly how an Elf should look! 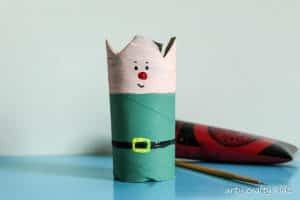 As always, I like to keep crafts simple and our elf craft is definitely simple, using materials you’re likely to already have stashed away in the recycling or craft box. 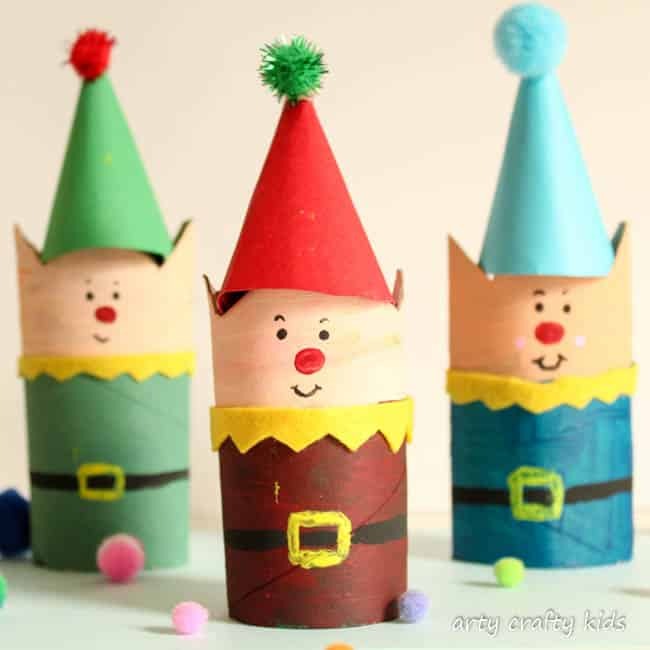 During our trial run of this Elf Craft, we painted the the cardboard tube and then snipped into the tube. I would advise not doing this as the paint chipped and it was much harder to cut! So, to begin… let’s make some elf ears! 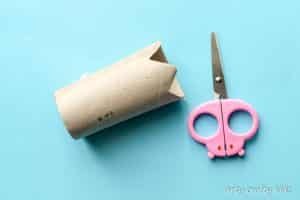 Cut into the top of the tube at a slant and then fold the cardboard to create a triangle shape in the middle. Repeat on the otherside of the tube. 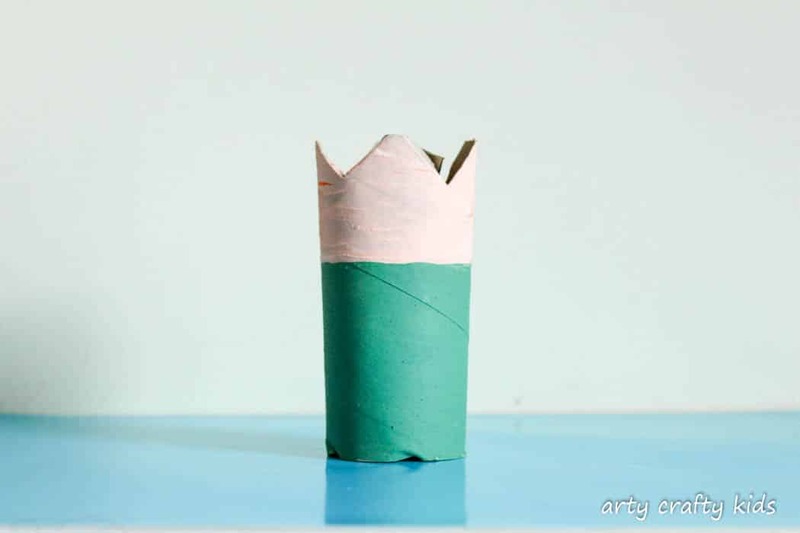 Next paint the cardboard tube using some kid friendly acrylic paints. We used a fine tipped paint brush to create facial features, however this could easily be swapped for some fine tipped sharpies! As you can see, you should have two disinct Elf ears by folding the cardbaord tube into itself. 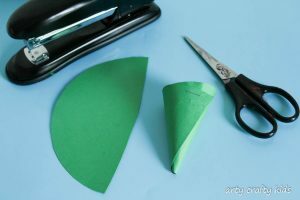 Using a piece of coloured paper, draw and cut out a large circle and cut the circle in half. Fold half of the circle round to create a cone shape and before stappling together, make sure it fits snuggly onto the cardboard tube, with the ears sticking out and the two triangles in middle section covered. Add a pom-pom to the tip of the hat using some PVA glue. 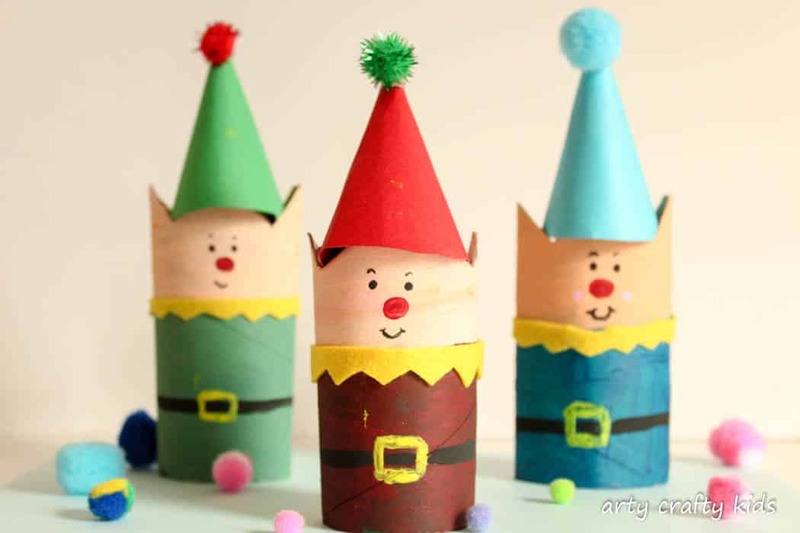 To finish off our Chritmas Elf Craft we added a collor, using a strip of yellow felt stuck with PVA glue. Since Father Chrstmas needs the help of more than one, why not make a few more and perhaps create an entire scene with a cardboard tube Rudolph and some snowmen? 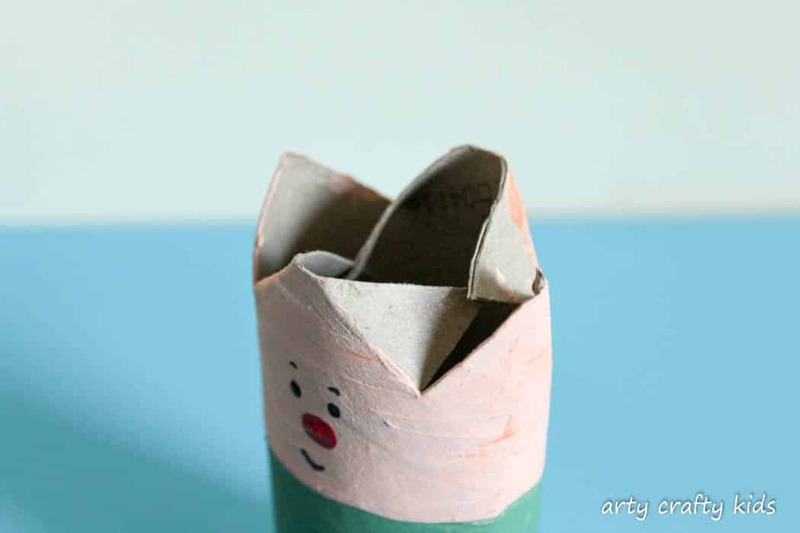 If you’re feeling eally creative, you could attempt a Santa using the same technique. Sign-up to our Newletter for regular updates!